Aston Services is a company of consulting material engineers whom provide a complete range of independent and confidential consulting, research, development and materials testing services to the civil engineering and construction industries. 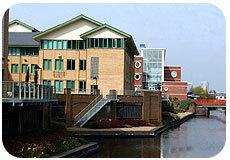 Aston Services is based in Aston Science Park, which is closely linked with Aston University. This provides access to cutting-edge laboratory facilities, expertise and specialised knowledge derived from research in a variety of disciplines. Aston Services specialist team of Scientists, Charted Chemists and Engineers are able to undertake a wide range of on-site and laboratory testing & inspection services. These range from microscopic analysis of samples for ASR, Carbonation, HAC, Chloride, Sulphate Attack, Reinforcement Corrosion through to abrasion surveying of floors and full scale testing/appraisal of civil engineering structures. 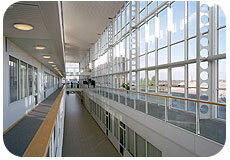 In addition, Aston Services specialise in developing procedures for assessing the performance and durability of materials. Aston Services has provided expert witness services, performed failure investigations and abrasion testing services since 1982. Indeed the BS 8204: Part 2 Classification of abrasion resistance is based on the research carried out by Dr M.Sadegzadeh (Aston University) and R. Chaplin (C&CA).